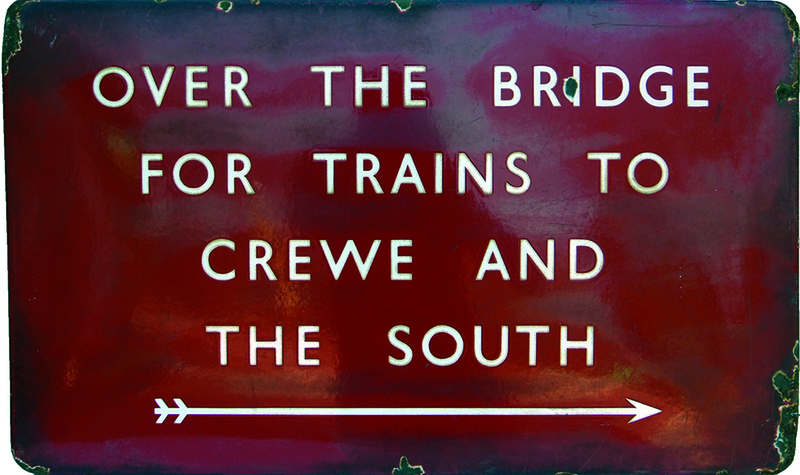 BR(M) enamel Platform Sign 'OVER THE BRIDGE FOR TRAINS TO CREWE AND THE SOUTH', F/F measuring 18 x 30. Some edge chipping but a very nice sign that will clean up a treat. Probably ex Carlisle or Preston.